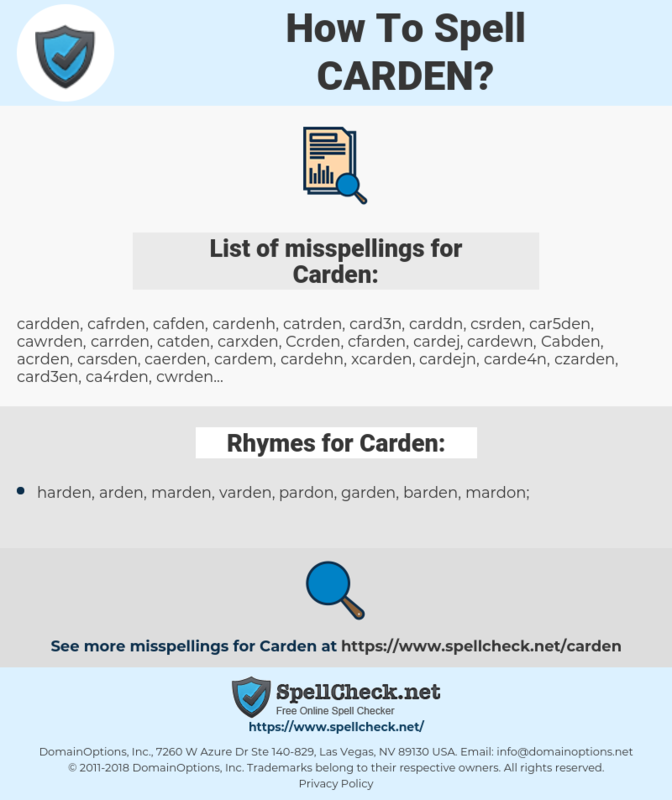 What are the common mistypes for Carden? What are the usage examples for Carden? What are the rhymes for Carden? 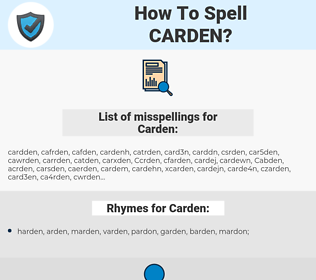 What are the common typos for Carden? Carden as a girl's name (also used as boy's name Carden), is of Middle English origin, and the meaning of Carden is "one who combs wool". Wool must be carded, or combed smooth, before it can be spun. Carding was an important occupation in the Middle Ages when the economy of Southern England relied heavily on the wool trade. Related occupational names are Fuller and Weaver. This graph shows how "Carden" have occurred between 1800 and 2008 in a corpus of English books.